Visibook is an appointment scheduling software that simplifies the users’ booking process by sending automated reminders, processing payments, and syncing calendars. It can be used by a wide range of businesses such as barbershops, massage clinics, salons, music schools, and more. We compiled Visibook user reviews from around the web and determined that it has generally positive ratings. We also shared its available pricing options. Users who recommended Visibook said that it is an easy to use booking tool that integrates seamlessly with Google Calendar. They also like how they can manage appointments anytime and anywhere because of its cloud-based nature. Users who gave Visibook negative reviews said that new users can expect an initial learning curve. Some also said that adding more features could help improve results like an option to tag a client as inactive without completely deleting them in the system. A user who left a positive review on Capterra said that the Visibook lets her customize the software’s scheduling system to fit their own business processes. She appreciates that it also helps them save on overhead costs, as Visibook effectively takes on some administrative tasks like manual scheduling entry. A user who left a negative review of Visibook on Capterra said that it is more challenging to set up his business’ available hours when using the mobile app as compared to the desktop version. He also said that there was a slight learning curve in controlling the back-end settings, but noted that it got better after using the system for a while. Visibook has a free option and three paid subscription plans: Basic ($6.99/month), Standard ($13.99/month), and Unlimited ($19.99/month). The main difference between the plans is the number of bookings per month. Check out the list below of some of Visibook’s features. Yes, interested users may avail of a 30-day free trial. How does Visibook help reduce no-shows? Visibook reduces no-shows by enabling users to set up automated appointment reminders delivered to clients via SMS text, email, and mobile push notifications 24 hours prior to their scheduled booking. There is also a built-in communications platform that allows users to chat with customers. How does Visibook simplify appointment scheduling? 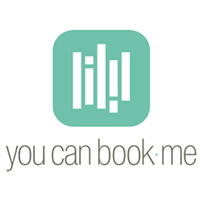 Visibook lets users set their availability through an appointment booking system accessible via desktop or mobile. When the client secures an appointment, they will receive an automated confirmation via SMS and email. This video provides a tutorial on how to navigate through the Visibook software. Not sure if Visibook is the right fit for you? Read our reviews of all top appointment scheduling software or check out one of these three Visibook alternatives. Love the ease of use of the scheduler. Their email and text automated reminders are the best! Nothing specific, everything works well for me. Visibook has been so easy to use and has made scheduling webinars for our company so easy. 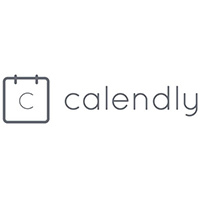 What used to be a scheduling nightmare of emailing back and forth to figure out a time that worked best for both parties has now been resolved by having a calendar with available dates and times for individuals to be able to schedule. For the non admin side, it is so simple to just click, click, and click and then they’re all scheduled. Bravo Visibook! It would be great to have more integrations available. However, Visibook seems to be more of a scheduling calendar for appointments not necessarily for the purpose that our company uses it for. If we could have options to have integrations specifically for our purposes. It’s really been a great tool to use! I found Visibook to be extremely easy to set up. The backend platform is clear and at a glance, I can see my week’s calendar and upcoming appointments. I’ve not had any complaints from my clients regarding the making of appointments. Reminders are sent to them and it syncs with my Google calendar. It’s a pretty fuss-free appointment scheduler. I haven’t come across any major problems. Nothing. I had reviewed a few before settling on Visibook. I originally downloaded the app because it offered to set up auto-reminders via text message. So, appoint reminders via text/email to clients is the answer to the question. I honestly haven’t found any downfalls yet. Maybe a couple of minor bugs that were fixed almost immediately, but other than that, no downfalls. That I was only allowed 25 reminders a month for the free account. I’m a one-woman show, I don’t need to upgrade. The product is user friendly on both ends. I find it to be easy to navigate. Love the messaging capability for ease of communication for my customers. 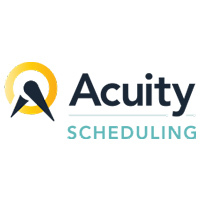 Needs a waitlist option to add to scheduling or more opportunity to customize your calendars for your business. As well as I need the ability as an owner to make provider profiles for my teachers but be able to have master control over messages and schedule. So far I’ve been happy with my decision to use the application I did my research.